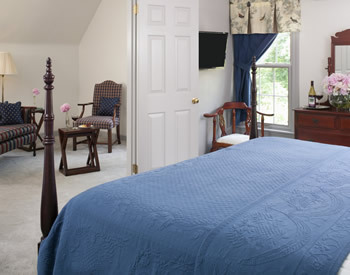 The guest rooms at 30 Timber Road Bed & Breakfast in Mechanicsburg have been designed and decorated with your comfort in mind. Each room has its own personality, but all the rooms are luxurious. All the beds are king size, and the mattresses are supportive memory-foam dressed in upscale, luxury sheeting that makes you feel like you’re sleeping on a cloud. 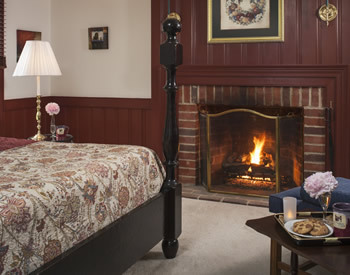 Fireplaces in the guest rooms provide a warm focus for cuddle-time. Some rooms have a full wet bar, and all rooms have a refrigerator and microwave for your convenience. All rooms have a private, en-suite bathroom decorated with coordinating tile tub surrounds. The bathrooms all have whirlpool tubs and a towel warmer to wrap you in warmth as you relax after your bath. 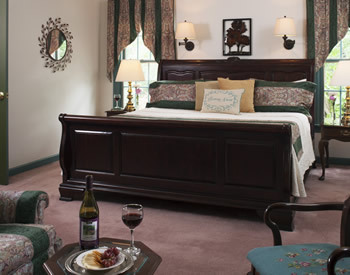 Of course, there is an HDTV in each room and Wi-Fi throughout the B&B. Irons and ironing boards are also provided.